One of the most challenging decisions a new forex trader has to make is to choose an electronic forex trading platform. Many forex brokers offer users a choice, although many only provide access to either MetaTrader 4 or Metatrader 5 (MT4 and MT5). One thing new forex traders should look out for from the start: Some brokers offer their platforms for forex trading with so-called “bridges” to MT4 or MT5. This may cause problems; as if there are issues with the bridge, it could interrupt your trading on the MT4 platform. But how to choose between the two most popular forex trading platforms around, both produced by the same Russian company, MetaQuotes Software? Each forex trading platform has been developed with the individual trader in mind, and each supplies a vast amount of information and tools to help us all make winning trades. It isn’t hard for the beginner to make trades on both platforms, but the expert will find many useful extras. Both platforms are good for learning to trade. But there are important differences between the two platforms, and while the beginner trader may not notice them at first, as he/she develops more sophistication, they may become important. There are three fundamental differences between the platforms: MT5 offers the ability to trade stocks and commodities as well as forex. 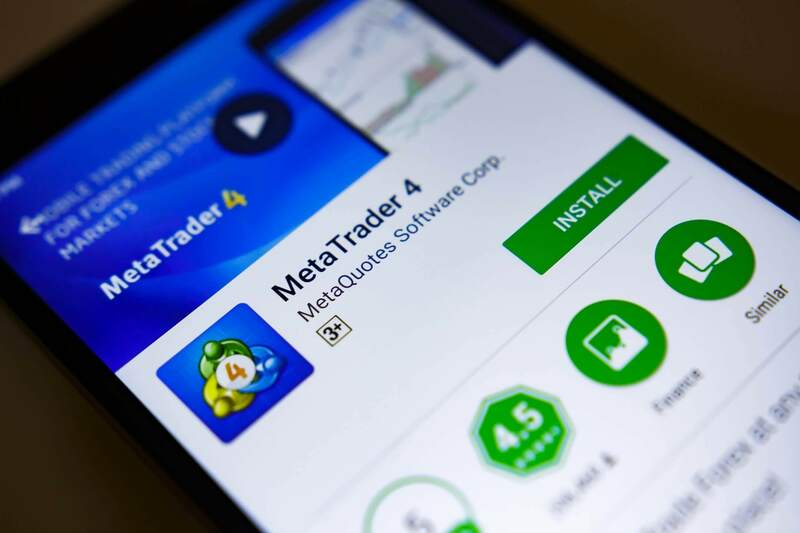 MetaQuotes sought to attract traders who wanted to do every type of trading on the same platform. This doesn’t, however, change anything for its rich offer of forex trading functions. The second fundamental difference is about hedging trades: The regulators in the US no longer permit hedging on forex trades. This again should not affect many beginning traders, but more experienced ones may want to keep this in mind. But here’s a difference that may matter to all kinds of traders: MT5 is faster than MT4. It is a 64-bit, multi-threaded platform. MT4 is a 32-bit, mono-threaded platform with a 2 Gb memory limit. This places some limitations on features that more experienced traders may find valuable, like the size of historical data files, or backtesting. Then there are some more minor differences – although some traders don’t think they’re minor! There are some slight, but notable differences between the user interface of MT5 and that of its predecessor. There had been some complaints from users that the buttons used for specific functions as well as some of the tools were too hard to see on MT4, reports Meilleursbrokers.com So MetaQuotes made them more prominent on MT5, and even put more space between them. There are those who say that the redesigned interface is harder to use. Both MetaTrader platforms have a wealth of tools for users who trade the Fibonacci retracement – that ratio based on a special series of numbers discovered by the Italian mathematician. MT4 boasts four different Fibonacci retracement tools (there may be extra charges for these tools) according to the website Trading Fibonacci: Fibo Machine Pro generates trading signals based on the Fib calculations; AutoFibo automatically finds the Fibonacci levels on any chart; QuickFib calculates tops and bottoms of a Fibonacci formation on any chart, then, when you move to the next one, it finds the new levels; AutoFib TradeZones is an alternative trading tool based on Fibonacci ratios. The forex indicator is used for trading ranges or price breakouts. But MT5 has all these and two more: Auto Fibonacci indicator for MetaTrader 5 is an automated Fibonacci indicator for MT5. It automatically finds the higher and lower points of any chart view and then it calculates and draws the Fibonacci Levels, and applies Fibonacci multiples to identify and draw significant support and resistance levels, and the Fibonacci Pivot Points Indicator applies Fibonacci multiples to identify and draw significant support and resistance levels. So truly dedicated Fibonacci traders (like this writer) may appreciate the more significant offer of tools on MT5. In case you’ve gotten the impression that MT5 has everything, hold your horses. A trader can still produce charts or save charts offline with MT4. With MT5, everything is done online. This may seem a minor disadvantage, but with offline charts, it’s possible to use the data in other applications that sophisticated traders may prefer. There is no question that MT5 has been developed with some of the issues that arose on MT4 in mind. But the more complex MT5 may not be the best choice for a beginning trader. You may wish to learn the ropes on MT4 – which is unquestionably a tried-and-true solution – before stepping up to MT5. Try both, and see which one works for you best. In trading, you don’t want to be distracted with any technical issues – you want to concentrate on the sufficiently challenging work of placing winning trades!